Barris, Sott, Denn & Driker is pleased to announce that it has received exmplary rankings from U.S. News Media Group and Best Lawyers® for 2016. In the national rankings, the firm was placed in Tier 3 for Commercial Litigation and Real Estate Litigation. In the Detroit rankings, the firm was placed in Tier 1 for the following practice areas. The firm was placed in Tier 2 for Banking and Finance Law, Corporate Law, and Construction Litigation. 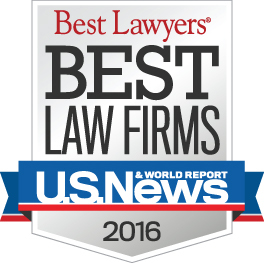 The U.S.News – Best Lawyers "Best Law Firms" rankings are based on a rigorous evaluation process that includes the collection of client and lawyer evaluations, peer review from leading attorneys in their field, and review of additional information provided by law firms as part of the formal submission process. The rankings are available here.